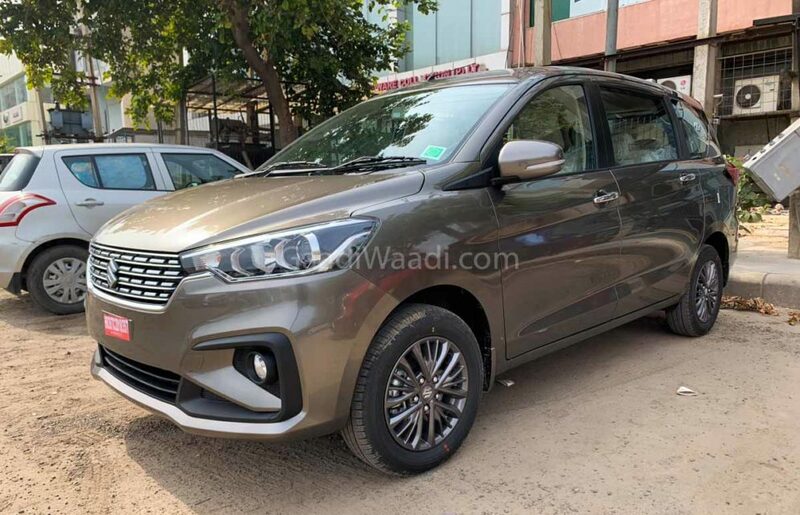 Maruti Suzuki India Limited will soon launch the 6-seater version of the Ertiga in the Indian market as we exclusively reported about it a while ago. The waiting period of the all-new Maruti Suzuki is already running into months, and the arrival of a new version will increase the popularity further. This rendering indicates how the upcoming Maruti Suzuki Ertiga Cross (6-Seater version) may look like in real life when it is launched. Suzuki officially showcased the concept version of the last-generation Ertiga Crossover at the Indonesia Motor Show, but no such concepts have been based on the all-new Ertiga in the global market. 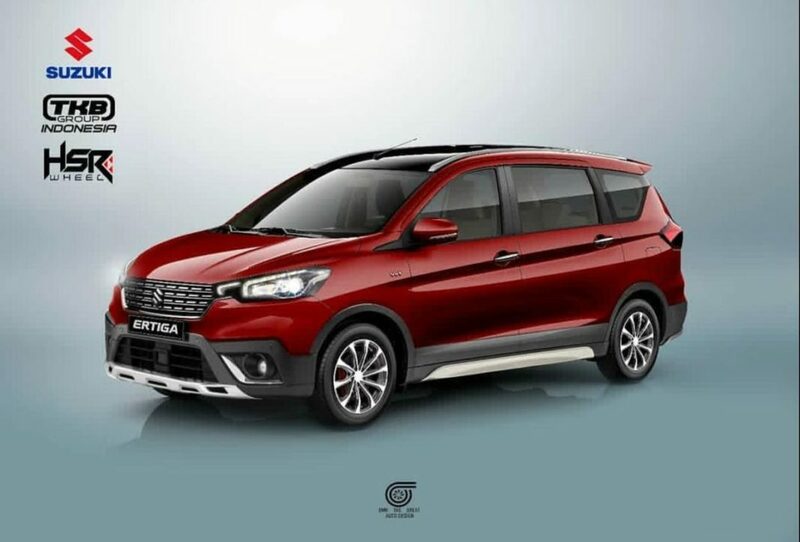 This rendered image shows how the upcoming Maruti Ertiga Cross may look like in real life. The rendered image shows a new, more rugged front bumper that also gets an integrated skid plate. The vehicle also gets thick protective cladding all around and silver skirtings on the side. It makes the Ertiga look very robust and rugged. The headlamps have been updated slightly in the rendered image, but it is likely to remain similar to the regular model. 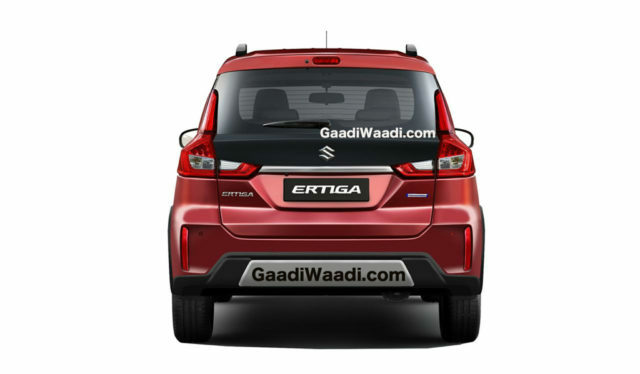 Apart from these changes, we can expect a new, more rugged rear bumper of the upcoming Ertiga Cross. Maruti is planning to launch a new plush variant of the Ertiga, which will only offer seating capacity for six occupants. It will get captain seats in the second row and will target the buyers who go for the Mahindra Marazzo. To make a luxurious image of the Ertiga Cross, it will be sold through the Nexa dealership network of the brand. Currently, the Ertiga is sold through the Maruti Suzuki Arena dealership network that also offers many other vehicles like the Swift and Alto. It should be noted that Maruti Suzuki Nexa dealership offers the Ignis, Baleno, Ciaz and the S-Cross. The Maruti Suzuki Ertiga Cross will add the MPV to the Nexa’s product line-up. The Ertiga Cross is likely to be offered with the 1.5-litre petrol engine that delivers 105 PS and 138 Nm. The diesel variants may only provide the 1.5-litre diesel engine that is an all-new engine developed in-house by the manufacturer. It churns out a maximum of 95 PS and 225 Nm of peak torque. The 1.3-litre diesel engine that is offered with the standard variants of the Ertiga may not be available with the upcoming Ertiga Cross.